While we've heard rumblings about it, the first Avengers to have a run-in with Thanos in Avengers: Infinity War are likely to be Thor and Hulk, following from the events of Thor: Ragnarok. In the aftermath we've seen images of Loki, still in possession of the Tesseract, in the grip of the Black Order. 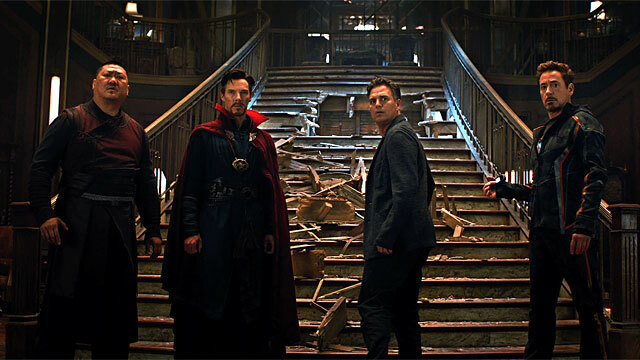 We've also seen Thor knocked comatose until he encounters the Guardians of the Galaxy. 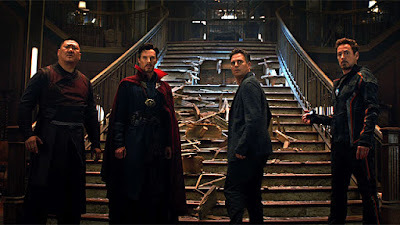 Bruce Banner somehow makes his way to Earth, though, where he connects with Doctor Strange, Wong, and Tony Stark. In this extended version of the clip we recently posted, Banner issues a dire warning about Thanos' arrival and how important it is that he not get his hands on the final Infinity Stone. I'll continue to note that we haven't seen Banner as Hulk in any of the footage, which makes me think he somehow gets depowered by Thanos or his Black Order. Watch the clip below, followed by an extended version of the fight scene between Cap, Black Widow, Falcon, Corvus Glaive, and Proxima Midnight. Avengers: Infinity War opens April 27th.